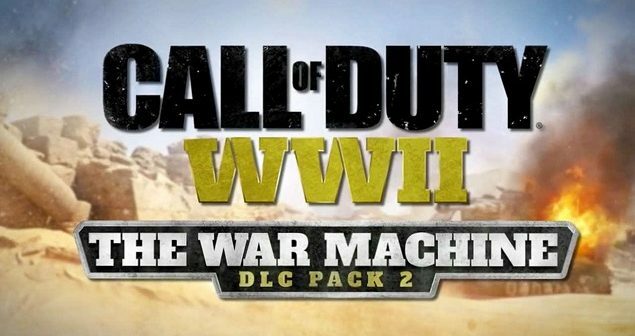 Video Game Developer Activision has recently released a trailer showcasing the new downloadable content for Call of Duty: WWII called The War Machine. In the video below we see beautiful cinematic views of the new multiplayer maps and a new chapter in the Nazi Zombies mode along with another War Mode mission. The new maps include classic war locales such as Dunkirk and Egypt with the latter appearing for the first time in the franchise, you can see the action taking place in the Great Pyramids. Dunkirk along with another new map named V2 provides a large open area with some narrow interiors and a secret rocket test site. Operation Husky as the part of the War Mission mode introduces aerial dogfights. The trailer finishes with Shadowed Throne which is the next instalment of the Nazi Zombies storyline. The Zombie battle moves to Berlin where a Doktor Straub orders his monster army to purge the city. The War Machine is due for release on PlayStation 4 on April 10th with PC and Xbox One owners having to wait about a month later to get their hands on the game, this delay is due to Sony’s timed exclusivity deal with Activision. The new content will be available as a standalone purchase, or as part of the Season Pass and will retail for $50 / £40, buyers will also receive the expansion pack, The Resistance.